In an exclusive interview with Epoch Times, Gerard Ee explains what Corporate Social Responsibility (CSR) is about and why corporations should consider CSR in their business models. 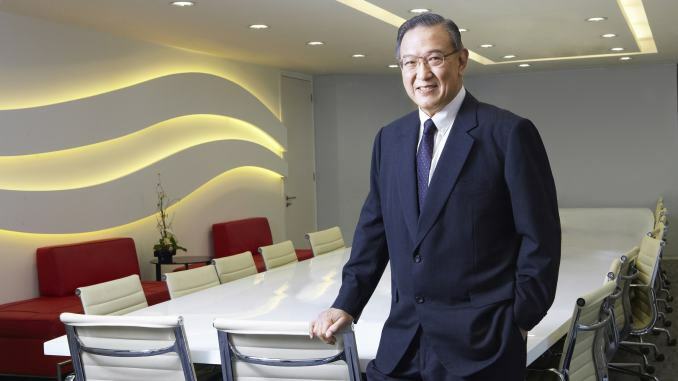 Gerard Ee, the youngest child of the late Dr Ee Peng Liang, Singapore’s Father of Charity, is widely known as “Mr NKF” for his work in restoring public confidence in the National Kidney Foundation, after controversial news of the charity’s corruption broke in 2005. The eminent auditing expert also led a Committee to review the salaries of Singapore’s ministers and political appointment holders in 2012, following the acrimonious debate over ministerial wages during the 2011 General Elections. 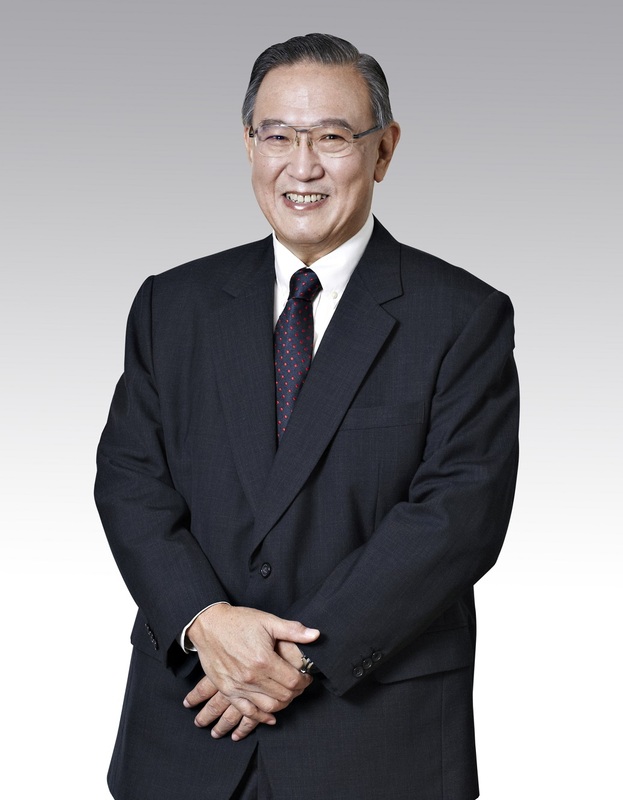 A fellow Chartered Accountant of Singapore with Institute of Singapore Chartered Accountants (ISCA) and a Nominated Member of Parliament from 1997 to 2002, Mr Ee worked his way up from an accountant in 1974 to a public accountant in 1976, till his retirement as a partner of Ernst & Young in 2005. After his retirement, his passion for community service and corporate sectors drove him to perform numerous voluntary duties such as holding key appointments in more than 30 organisations and boards over the past three decades. Mr Ee had been the President of the National Council of Social Service and National Kidney Foundation, a Board Member of the Accounting and Corporate Regulatory Authority, and Council Member of the Accounting Standards Council. He had also chaired the Public Transport Council, Council for Third Age and the Singapore Institute of Management. Currently, Mr Ee holds the chairmanship of the Charity Council, Changi General Hospital and Eastern Health Alliance. In addition, he is the President of the Institute of Singapore Chartered Accountants (ISCA), who also chairs the ISCA Executive Committee, and is a Board Member of the Singapore Accountancy Commission, under the ambit of the Ministry of Finance, as well as the Vice President of the ASEAN Federation of Accountants (AFA). Simple and down-to-earth, Mr Ee resembles a congenial school teacher and a good-natured father who is economical in regard to money or food. He manages his finance thriftily and is too frugal to splurge on luxury watches. He has been wearing the same watch for many years, and prefers the neighbourhood ‘kopitiam’ (coffee shop) to the trendy Starbucks. His frugal personality might be influenced by his late father, Dr Ee Peng Liang, who was the veteran of Singapore’s social service and philanthropy sphere. As the founding member and President of the Singapore Council of Social Service, Dr Ee Peng Liang established the Community Chest in 1983. His late father taught him that it is not about how much one earns, but how one spends money. If one always splurges extravagantly, one will never feel that he has earned enough money. Mr Ee treads on the heels of his father in social service. In 1989, he founded Bizlink Centre and campaigned for employability for the disabled. He was its Chairman until 1992. In an interview with Dads for Life, the father of two grown-up children feels that kindness, volunteerism or philanthropy flows naturally from one’s everyday life, such as offering a seat to someone in need on the MRT. Devout in thought and manner of life, Mr Ee turned to faith as he battled colon cancer in 2008. Like his late father, he believes that one’s religious belief must be backed by action. Although it is very challenging, practising unconditional love for all is a must in his religious journey. “My father is a very religious person and strives hard to put into practice the teaching of his belief – the principal driving value is unconditional love for all, irrespective of race and religion. It is through love that one has compassion and empathy and will strive to help all those who are less fortunate,” he told Epoch Times. Given Mr Ee’s vast experience in the corporate and social sectors, it is evident that he is the best candidate to discuss Corporate Social Responsibility. In an exclusive interview with Epoch Times, Gerard Ee explains what Corporate Social Responsibility (CSR) is about and why corporations should consider CSR in their business models. “It is in the interest of every corporation to think of how they can help the community to achieve a better life and in return, in the long turn, they will also benefit from it,” he stresses. Corporate social responsibility (CSR) has been gaining more awareness. In your view, what is the key component of corporate social responsibility? There is a lot of misunderstanding over the term CSR. Many people think it is merely about doing good and companies think that they have done good CSR by making donations of money and/or time to good causes. The concept is for businesses to be mindful of their social responsibility and not just focused on making money. It leads to adopting high ethical standards such as ensuring that their products are safe for their customers, that they do not use unapproved additives, that their production does not destroy the environment, etc. Take the haze resulting from the burning of crops – it affects the environment and the health of individuals. Companies engaging in such practices cannot claim to practise good CSR even if they make huge donations to charities – it is sheer hypocrisy and falsehood. With the spread of the practice of CSR, it is hoped that more companies will act responsibly and re-look their production methods, the materials they use and the safety in their design. However, in Singapore, the emphasis of CSR has been on doing good. Perhaps it is because we do not have serious problems with irresponsible companies – our government agencies have been very diligent in monitoring and taking to task companies which breach safety rules and use unapproved additives or banned substances. Why should companies do good and give back to society, as doing so may increase cost? Today, with the extensive reach of social media, it is in the interest of companies to practise good CSR because people will quickly know which product to avoid and even organise boycotts of products from companies which destroy the environment with their production methods. As for doing good by helping causes that help individuals achieve social mobility, all companies have a vested interest to do more in this area. The more successful corporations are helping the population in the area where they operate in. [By helping them] improve their lives and move up the social ladder, so to speak, they are creating for themselves a bigger customer base in the future. When more individuals move up from low to middle income, the market place is expanded. There will be more people [that can afford] to buy products. Thus, when corporations get involved in CSR, actually there is a payback later on, so in a way it is an investment for the companies. How can companies better incorporate charitable initiatives into their business? And how can they make the action of giving sustainable? It will have to be part of their corporate values and culture. If it is done merely as an action, people will see that it lacks sincerity and it will not give rise to lasting good for the company. When people see that a corporation believes in and practises doing good, they will have greater trust in the company and its products and services. In your eyes, what is the true purpose of corporations? The purpose of corporations is to create sustainable value for all and high on its agenda must be the creation of jobs. Sadly, the focus of most corporations is on maximising shareholder value. In turn, it has resulted in excessive rewards for the executives and an ever widening income inequality in society. What steps should be taken to ensure businesses are acting as responsible members of society? The only effective force against irresponsible corporations is that of people’s movements. [Consumers] must exercise their rights and boycott products of irresponsible companies, e.g. not purchase paper products from those companies known to engage in burning activities which pollute the environment. Can you share with us the highlights of your Epoch Inspired Talk – ‘CSR: What’s the Next Lap’? I think in the talk, I will emphasise why more corporations should be involved in CSR, because very clearly in the long term, it will benefit them. It doesn’t help any company at all to watch the marketplace that they are operating in not progressing, then the market is stagnant. It is only when the marketplace improves, when more people are earning better salaries, are able to afford to buy things, then as a corporation, you will potentially benefit from it. Then I will briefly cover different ways that companies can do CSR, especially in supporting education. I strongly believe that in any community, education is the key to it. No community can progress if you don’t invest enough in education, and it is not something that you can just leave to the government to do. I think everyone has to play their part to help every individual do the best that they can, and that is how the community will grow. And when the communities grow, corporations will also grow.